A porcelain crown, also known as a cap, can be sculpted to closely imitate the look of natural tooth enamel, while implementing strength and elasticity. Porcelain crowns are recommended when recreating the shape and function of a damaged tooth, since it replaces the entire external portion of the tooth down to the gum level. Fix fractured and/or unsightly fillings. Restore a tooth after root canal therapy. What is the process for Porcelain Crowns? 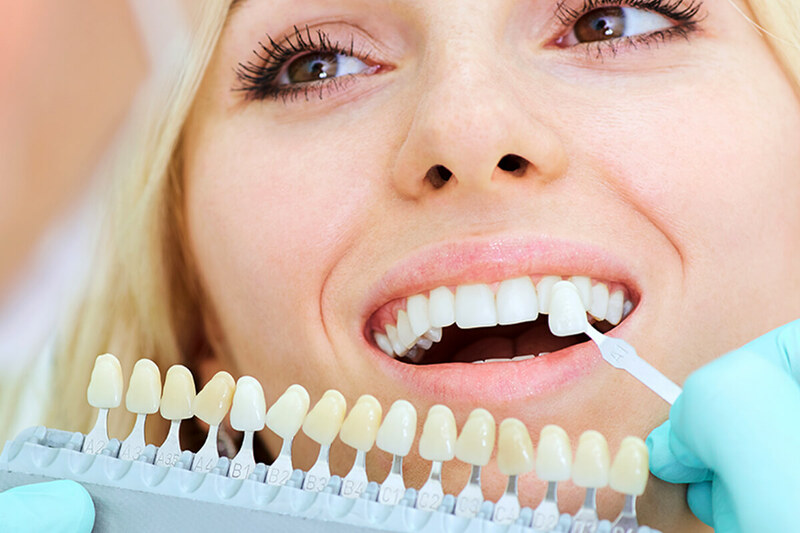 until a dental laboratory fabricates your new crown. After numbing your tooth, the dentist will remove the decay necessary and shape the surface to properly fit the crown. Next, your temporary crown will be inserted with temporary cement. Your doctor will check your bite in order to confirm that you are biting properly. Your temporary crown will be removed during your second appointment. After cleaning your tooth, your new crown will be placed to secure the spacing and bite.